I love makeup and there are so many reasons why. To me, makeup is a fun and creative way to experiment and try new looks. It's not permanent and it's not damaging so there's no harm in trying something out, right? Over the years my style has evolved and my makeup looks have changed with it. There's been lots of hits and probably just as many misses (unfortunately there is plenty of photographic evidence) but that is all part of the fun - you live and you learn. I was a late starter when it came to makeup. 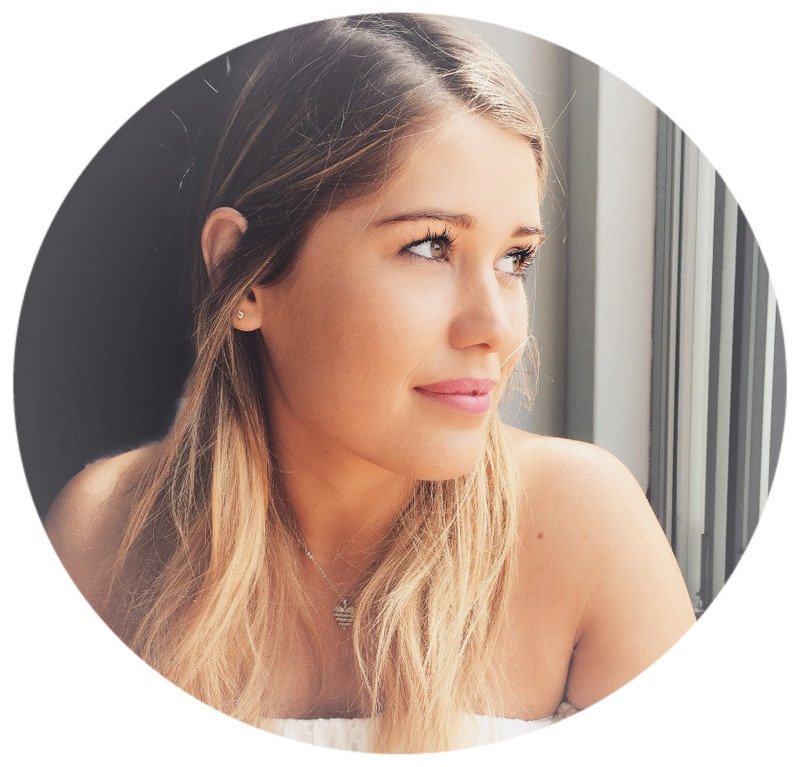 It wasn't until I was in my mid-to-late teens that I explored the world of makeup, but once I did, I was intrigued. I wanted to know what to use, where to use it, when to use it and how. After watching me experiment, and quite often fail my family jumped in to help. For my 17th birthday, my mum booked me in for a makeup lesson at MAC and my love for their products grew from there. In Australia, MAC flagship stores offer a 90 minute MAC tutorial. A trained professional will personalise a lesson to your features and skill level, whether you're a beauty beginner wanting to learn the basics or an expert wanting to update your skills. It costs $150 and is fully redeemable in products. If you're looking to purchase some new products and you think the total will come to around that amount, why not book in for a lesson and learn something new at the same time! To me, makeup is not about drastically changing the way that you look. It is a fun way to elevate your style, feel confident and look your best. Makeup is overwhelming! Where do you start, what do you like, what do you buy and what can you afford? 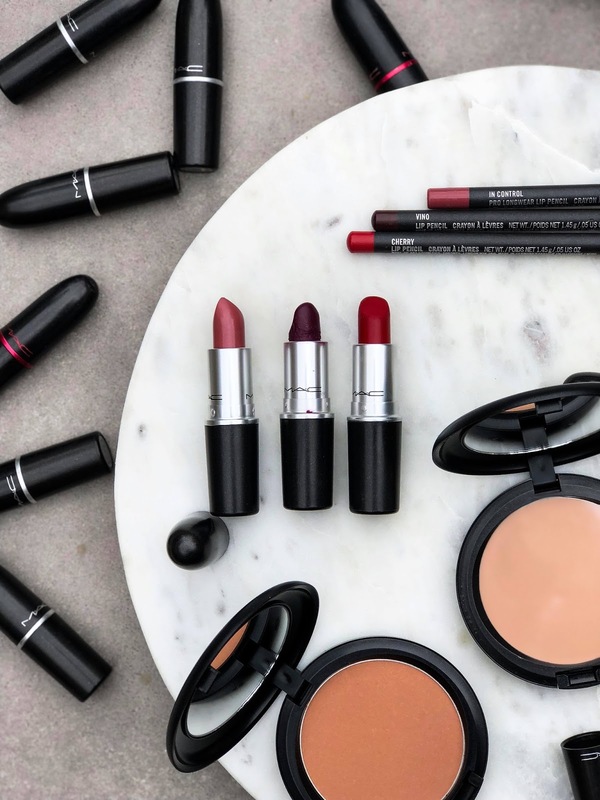 You enter a makeup store and its so easy to be swept up in the experience, seduced by the products and tempted by the sales stuff, and boy will it cost you. Over the years I have definitely been guilty of walking into a beauty store with the goal of purchasing one product only to walk out with numerous. Unfortunately, more often than not, these extra purchases go unused and end up hidden somewhere in my collection. There are so many high-end and drugstore versions of products, so where is it best to spend your money? 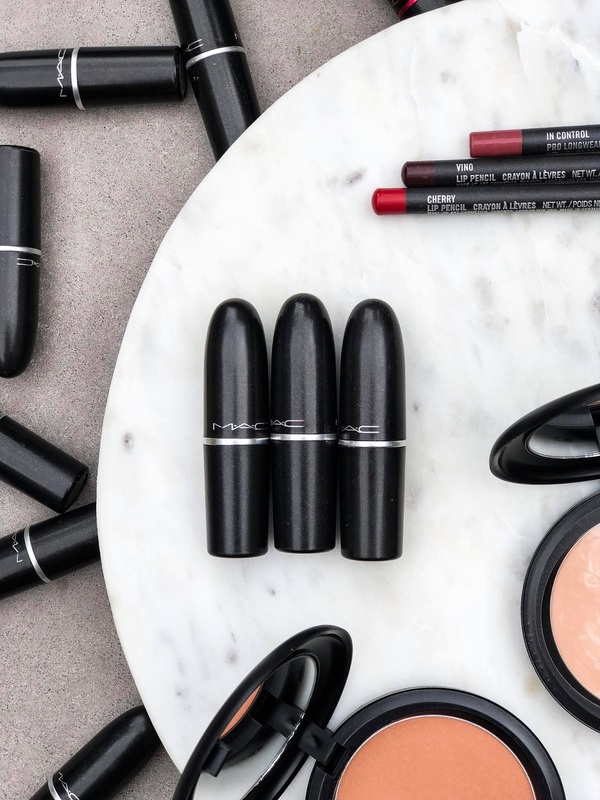 Over the years my makeup collection has grown and grown, yet there are a few MAC products that have always remained a staple. 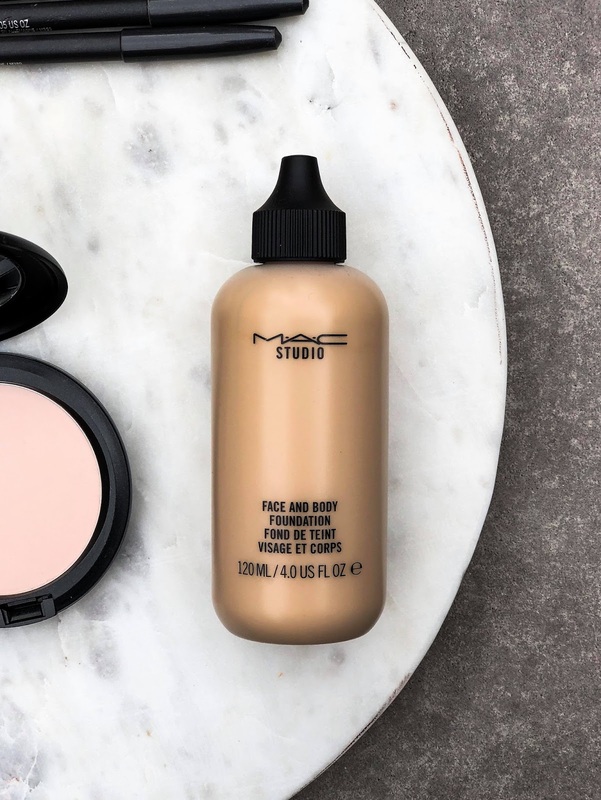 From season to season I revamp my look, switching between products and freshening up my beauty routine, yet these MAC staples have remained consistent. I go through these bad-boys like there's no tomorrow. To give you an idea, MAC has a promotion where if you return 6 empty containers you receive a free lipstick... I have now received 4 lipsticks. 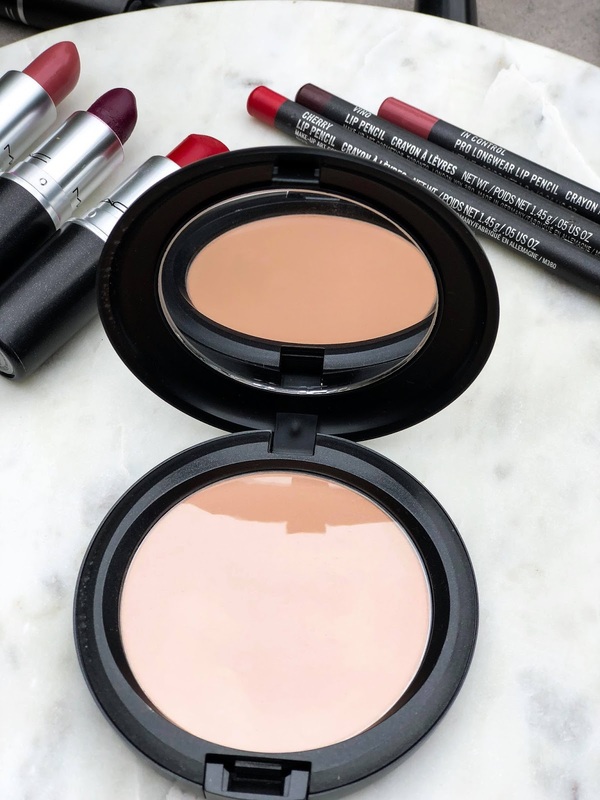 The MAC Mineralise Skinfinish Natural is a slow-baked powder that can be used to set foundation and touchup makeup throughout the day. This powder is hands down my favourite, no matter what foundation I am using. After applying my foundation I use this powder to set it in place and make sure it lasts all day. On the days when I'm feeling super lazy and don't want to wear makeup, I will moisturise my face and brush this powder on top to even out my skin tone. If you're using a lot of powder products on your face, my top tip would be to finish with a setting spray (my favourite - Too Faced Hangover 3-in-1 Setting Spray) to hydrate and moisturise your skin. I wear the shade Medium Plus. By no means am I someone who wants to/has to wear makeup every day. My looks can range from absolutely no makeup, to a full contoured face - it depends on the occasion, how I'm feeling and what look I'm wanting to go for. As far as 'natural' foundations go, Studio Face & Body Foundation is my number 1 pick for everyday wear. It is a lightweight foundation that delivers a natural satin finish with sheer build-able coverage. As the name suggests it is a fairly thin foundation that can be worn across the face and body, although am I yet to find a reason to need body foundation. As a lightweight foundation, it most definitely has a dewy finish that unfortunately isn't super long lasting when worn by itself. However, I overcome this my setting the foundation with my Mineralise Skinfinish Powder. I build up the coverage to achieve a longer-lasting matte complexion without losing all luminosity from my skin. I wear the shade C2. This bronzing powder is a new comer to my collection and it very quickly earned the title as my favourite. When it comes to bronzers I am quite picky. I am after a cool toned, subtle glow that doesn't end up looking muddy, streaky or orange on my skin - this product is a winner! After trying two different MAC bronzers that I just didn't love, I was close to giving up until I found this one. I use the MAC Bronzing Powder in the shade 'golden', it is tan-beige in colour with a very subtle shimmer. Regardless of the season, I'm striving for that summer glow. 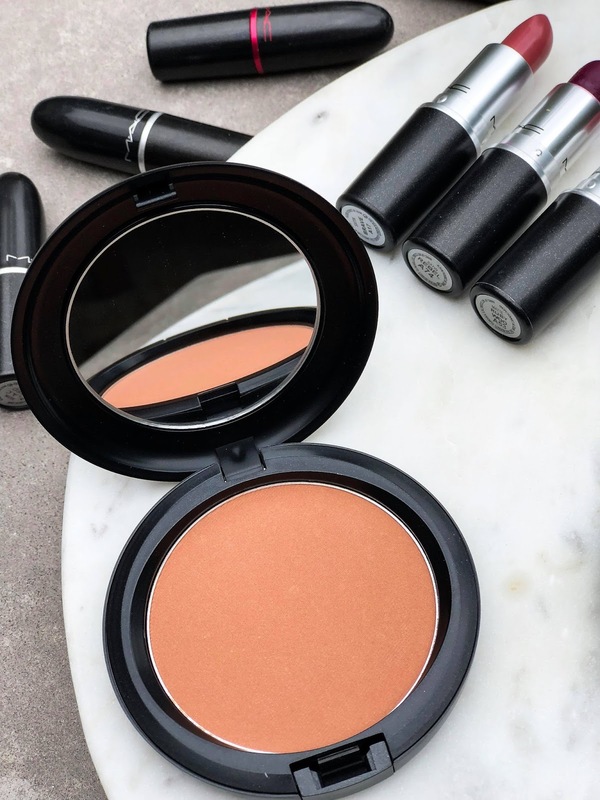 By running this bronzer around the edges of my face and along my cheek bones to subtly contour, not only can I slim my face, but also achieve that warm natural glow all year round. 100% will be repeat purchasing. Last but definitely not least... lipsticks! 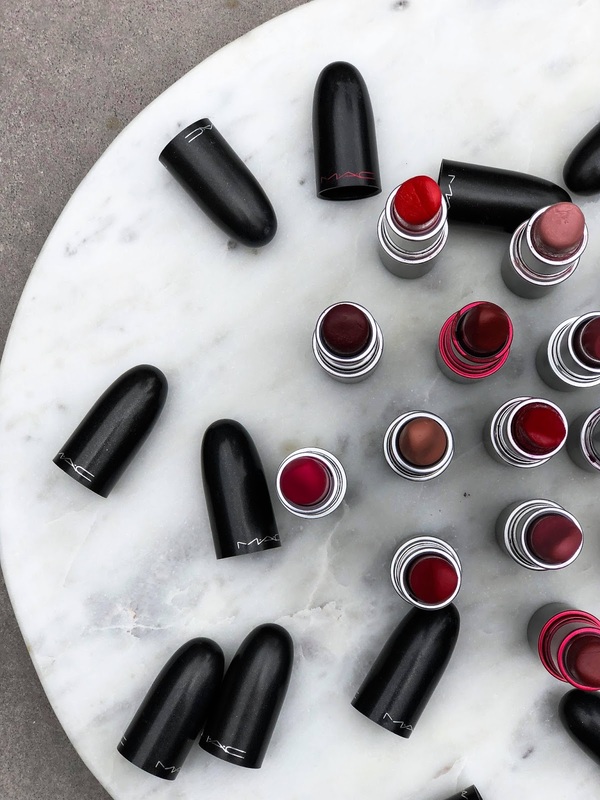 MAC knows what's up when it comes to lipsticks. They have so many different ranges, so many different finishes and so many different colours that I challenge you to not find one that you love. While I definitely have my fair share of MAC lip products, the satin lipsticks are some of my favs. The creamy lipstick formula has a soft cushiony feel that is in no way dehydrating like some matte lipsticks can be. 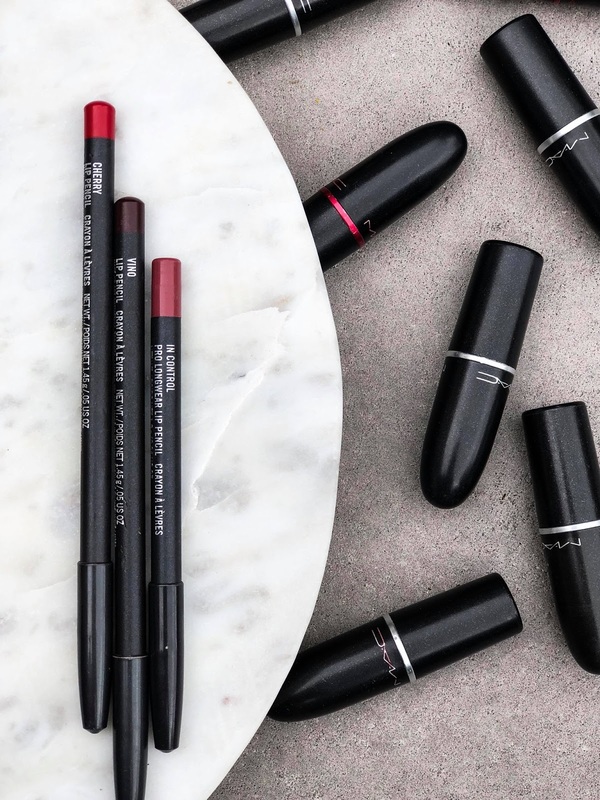 MAC describes them as medium-to-full build-able coverage with a satin finish and I honestly think that description is undermining the brilliant colour payoff that these lipsticks achieve. I wear these products regularly and my lips feel moisturised and comfortable throughout the day with no drying or cracking. For nights out where I'm less 'aware' of what is going on with my lips, I always line my lips with a matching lip pencil to achieve fuller lips and longlasting colour. 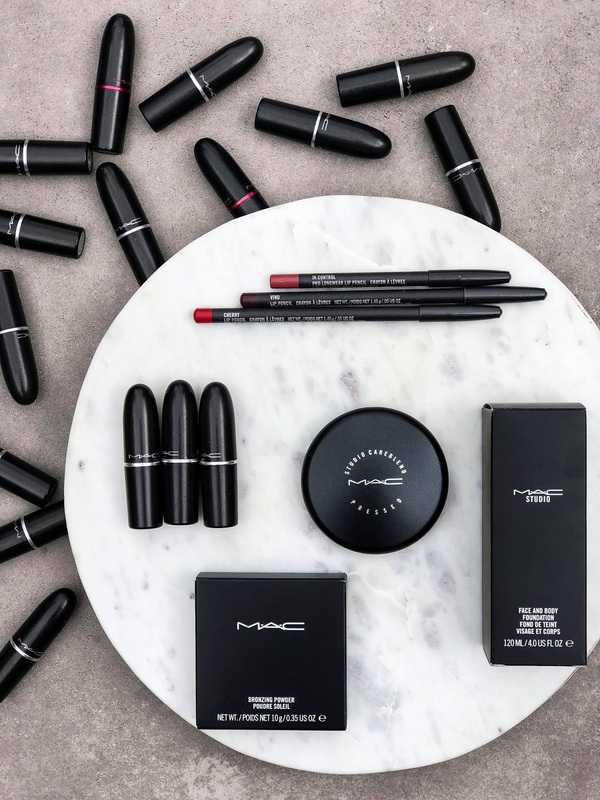 Do you have a favourite MAC product? Let me know below! 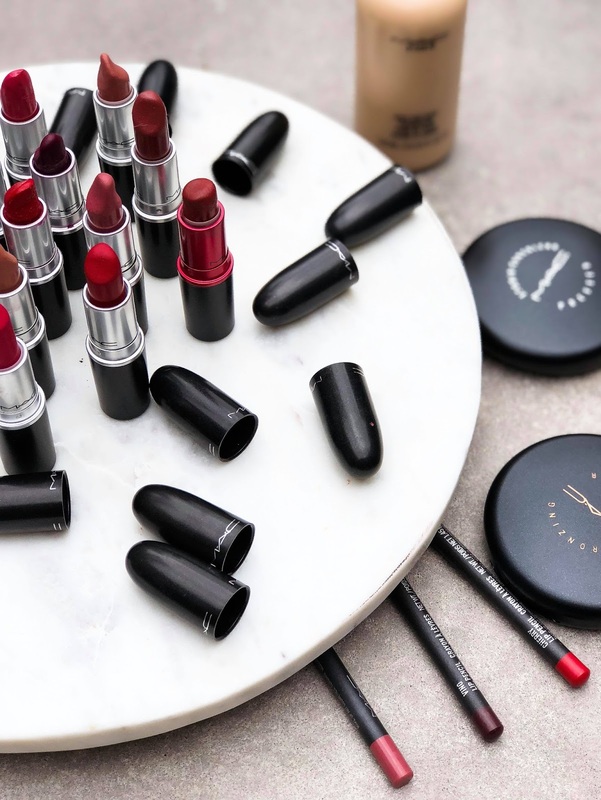 I am a HUGE fan of lipstick so I loved reading this! and your tutorial in the middle was much needed! I have always been a huge MAC fan, I think they have something for everyone. I am loving the look of the lipstick in Brave. I also love their mineralised skin finishes. The only thing I don't buy from them is foundation - only because my skin doesn't like it. I do miss having their pressed powder though, need to restock! Makeup can be so overwhelming with so many brands and formula out there. That face and body foundation sounds like something I would love. I've been looking for a nice lightweight foundation. I completely agree, without knowing which products you like within a brand it's always super overwhelming - I feel like I'm going in blind. 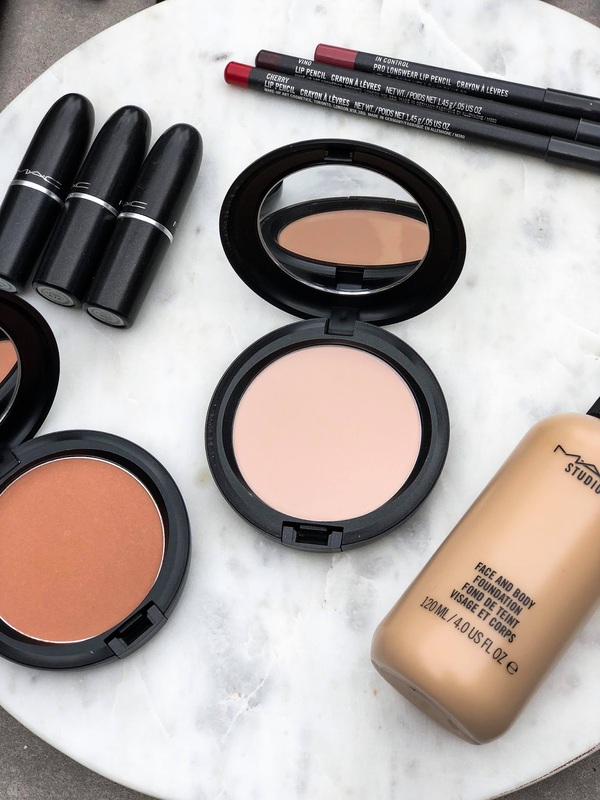 If you like a lightweight, super natural finish, then I 100% recommend the face & body - but you definitely need to set it with powder for it to last! As someone who is easily overwhelmed by all of the options out there, this list is super helpful! I like that it sort of simplifies the basics that you need without getting too detailed. That's good to know about the class, too! I love MAC! I've been using it for years. I have had the tutorials as well. Do they have the recycling program where you are as well? I think the tutorials are great! 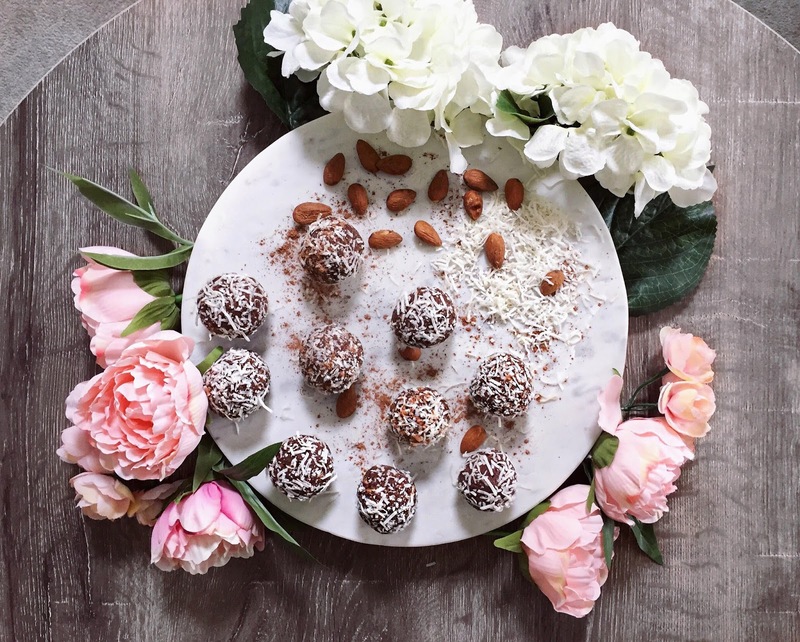 If you're already going to spend money on their products, it's an amazing way to get something more for your money :) I'm based in Sydney and they definitely have the recycling program here! I have to admit I have not tried Mac before, but it all looks great, I love the look of the lipsticks Mac Red looks incredible! I will have to check them out for sure. I don't own any mac products nor have i tried any but i see them all over social media. you have an impressive collection; The lipsticks look amazing! I have not shopped for MAC products in over 5 years. Thanks for the recommendations. Whenever I am looking to update I will check these out. Love the pictures btw. 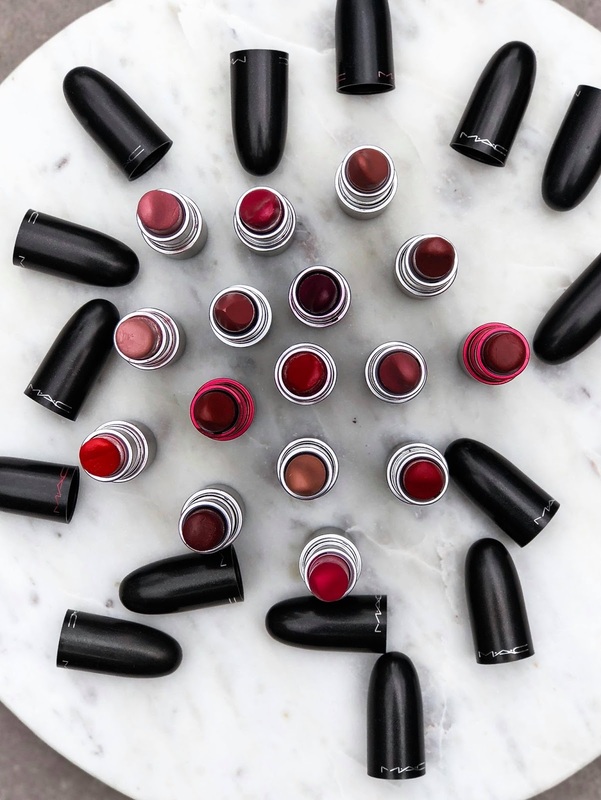 I am a MAC lover and those lipstick shades looks classy and elegant. and I love reading good reciews on my favorite brand of cosmetics. I am not a huge makeup wearer, but I love a good lipstick. 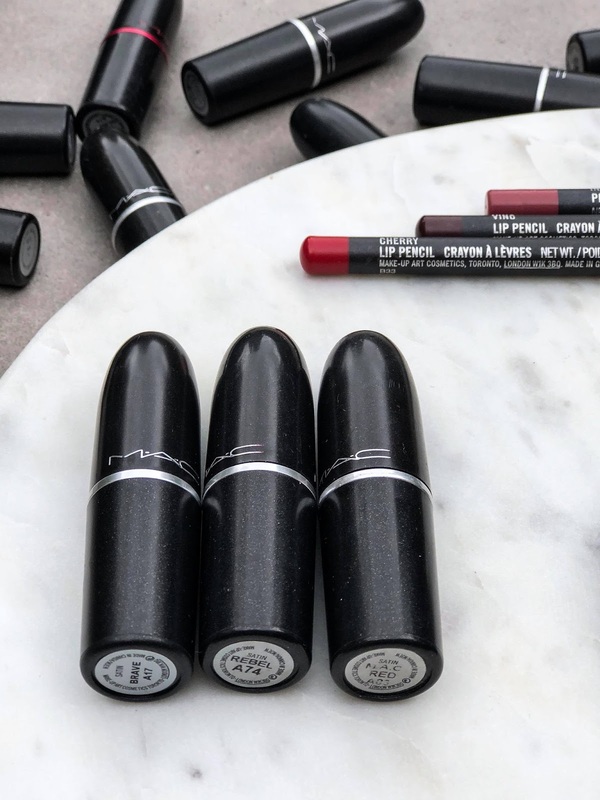 Haven't tried MAC's satin lipsticks. 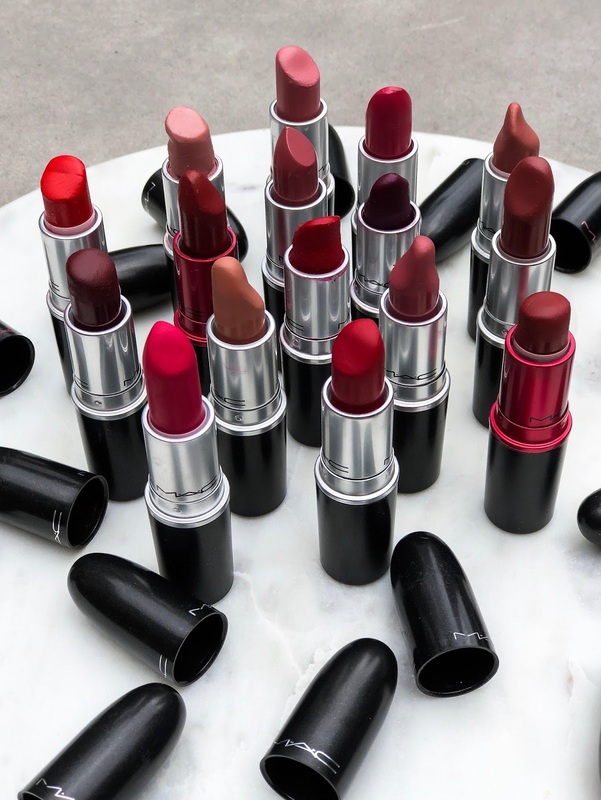 I am more partial to matte lipsticks. I will have to check those out. If you like a red lip, MAC Matte lipstick in the colour 'Ruby Woo' is AMAZING! 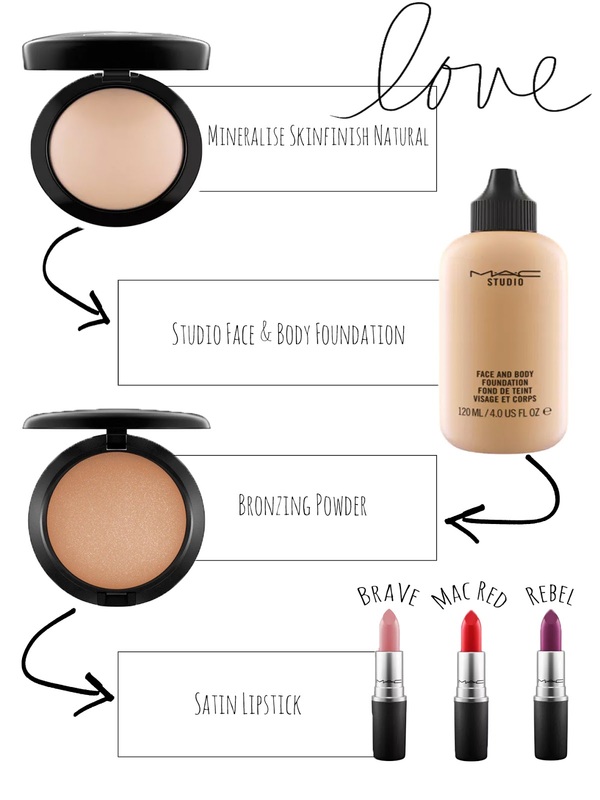 I like some of the MAC products! I have tried the Face and body foundation, but it is too sheer and too dewy for my taste. I prefer the MAC waterweight foundation! I really love make up and I am really obsessed with it. So I like to follow some make-up lesson and videos related to makeup on YouTube also. I really love mac items. Specially, mac compact is must for my everyday look and rebel is one of my most favourite lipsticks. I am obsessed of your make-up lesson . I love this little bullets so much, that I can't explain with my words. Thought I don't have many as I am very new in makeup line and recently I just did fall makeup lesson . I am trying to collect more and practice more to improve my skill.